Tagging those holiday gifts has never been easier. 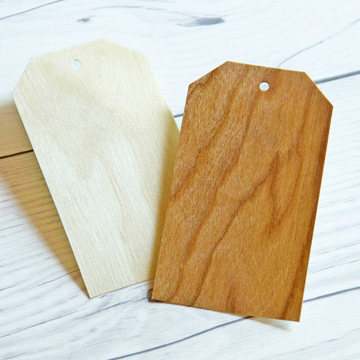 Make a statement with our beautiful Real Wood tags. 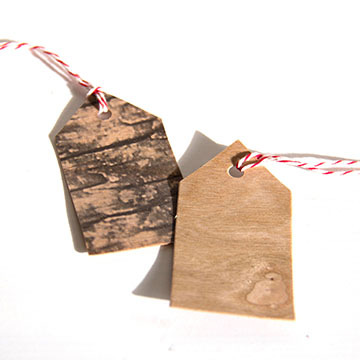 Or create a design of your own using our Real Wood paper. Real Wood paper is easy to cut, punch and print on. 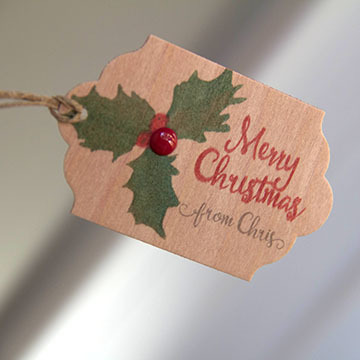 We create the above Merry Christmas Tag design and printed multiples on Real Cherry Wood paper. 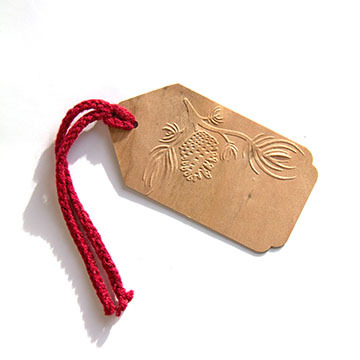 After printing a full sheet of 12 we punched out each tag with a shape punch, added a red berry and a little hemp twine. 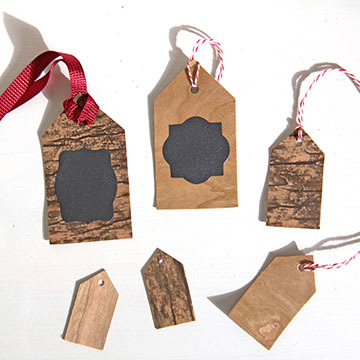 These tags will really help us dress up our gifts. Happy wrapping. 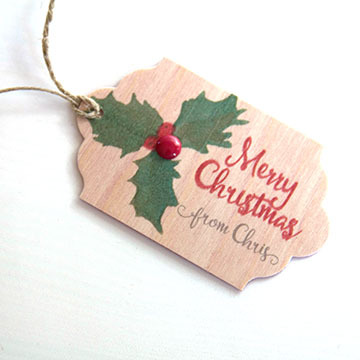 This entry was posted in DIY Projects, Uncategorized and tagged Cherry wood, real wood paper, Wood paper, Wood Tags.